Mus i tovad ull. 8 cm, svans 10 cm. 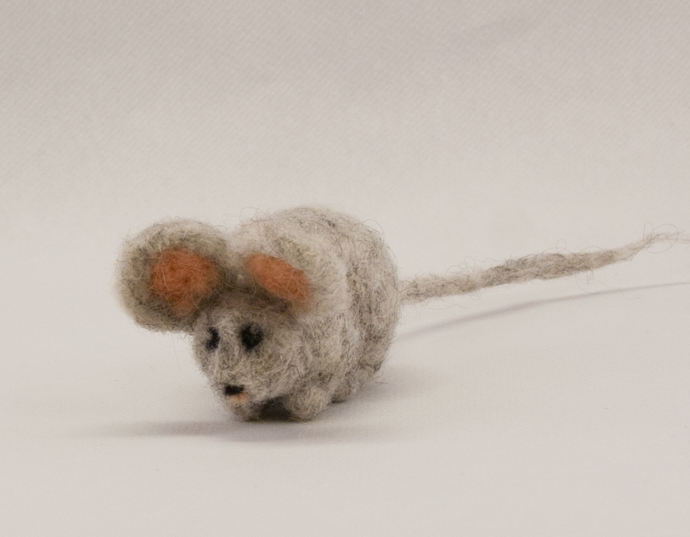 Mouse made in wool. 8 cm, tail 10 cm.